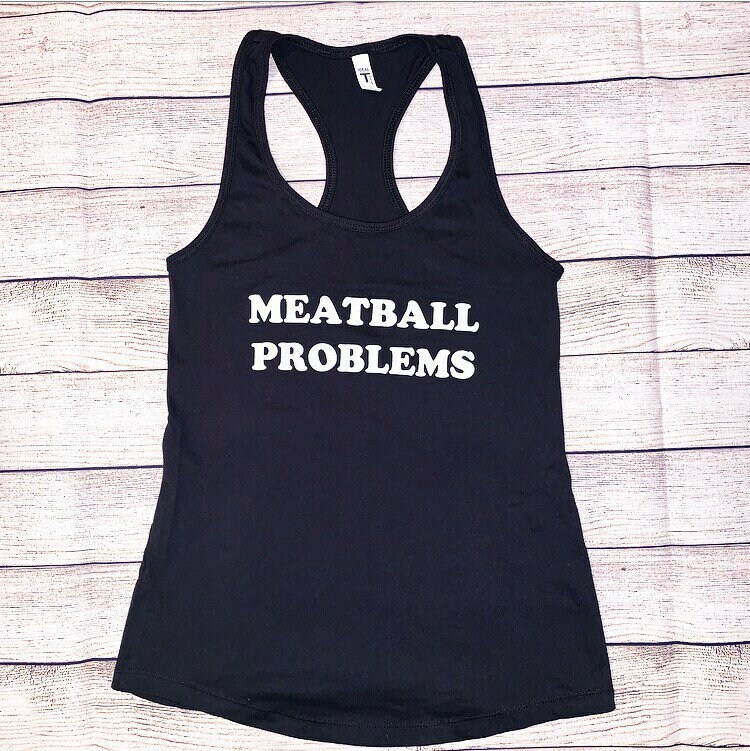 Per request, here is your meatball graphic shirt! My husband bought me this tank and I absolutely love it! I'm typically a medium but I'm so glad he went up a size because I prefer it to be a little loose. Shipping was quick and he was thrilled to see the personalized note from Nicole in the box with the tank!